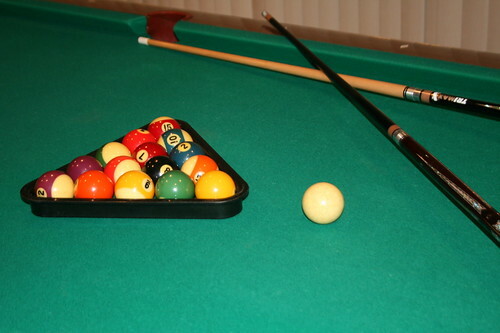 While we've been staying with Jan and Doc, Mickey and Doc have played a few games of pool. I think they both enjoy it. (They didn't play tonight but I was desperate for a picture and wanted to document this activity.) Mickey and I played one night. Let's just say I'm rather rusty. He was beating me 2-0 but I did manage to win the last game, only because Mickey scratched, but I did play a lot better that game.